DXN, the No. 25 biggest MLM company in the world, proudly announces the DXN Turkey prelaunch period. Meet this exotic coffee with ganoderma (also known as reishi or lingzhi) consumed by more than 6,000,000 people today, known and consumed by more and more people worldwide day by day, and soon in Turkey. We look for DXN Turkey team member who would happily be among the first to spread the word about DXN and its products in Turkey, and are willing to take on the starting difficulties and challenges for the later benefits, so as to build up DXN on the Turkish market with their help. You can join the biggest ganoderma company in the world! Free entry and DXN coffee tasting. Everyone is welcome to join! If you have any more question just contact us here. 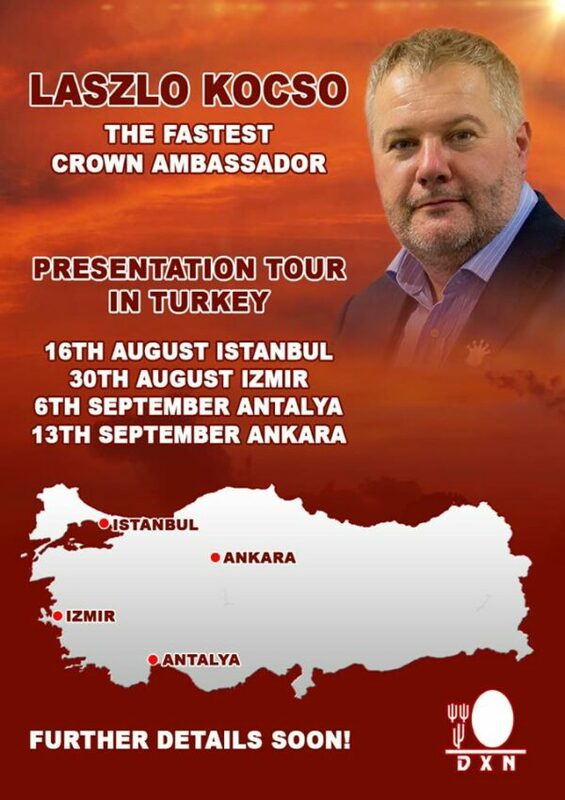 DXN Turkey would be a huge success! Would you like to be the part of this success?